He who wants a gift shall have to sweat and slave! This is probably the most frequently asked question when you're out looking for a birthday present - again. Money or a gift voucher? Both are a bit boring, but not if you put it in this box. 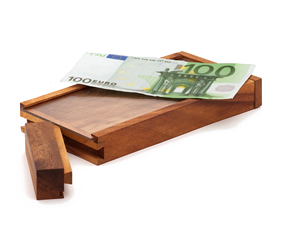 The "Don't Count On It" is a wooden block with an opening at the front that you can put something into. Although your first victim will initially laugh, it won't be long before he's begging you to give him the answer to this puzzle. We have seen grown men going to look for a saw - out of pure frustration. Mark my words; you won't be able to get to the contents of the "Don't Count On It" without solving the puzzle first. 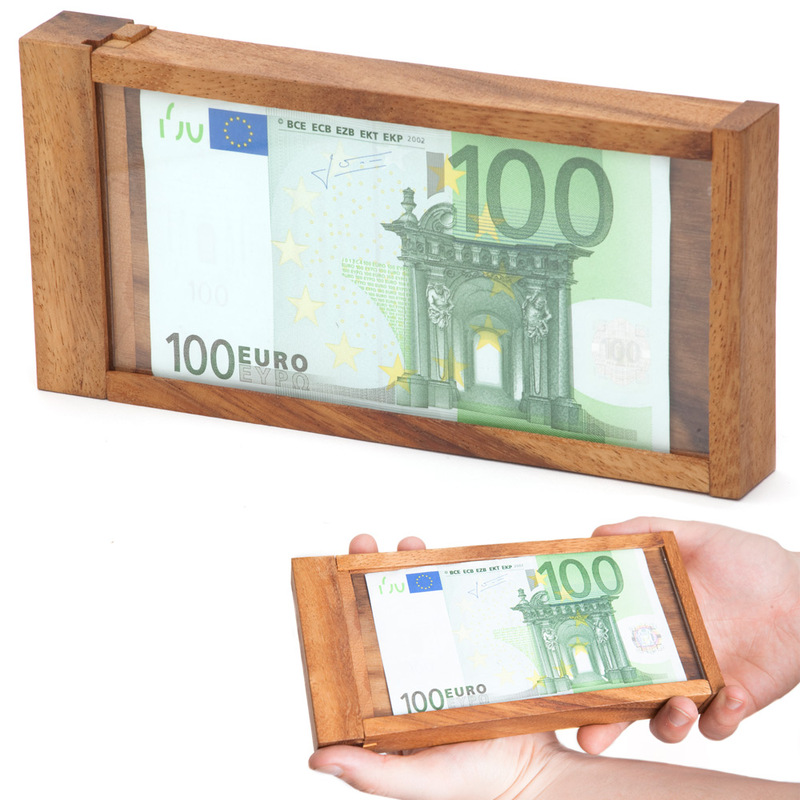 This extremely strong and solid wooden box is made from sustainable Monkeypod wood! No need to have a bad conscience about the trees that were cut down for this box - only the branches were cut off and they grow back! An environment-friendly, cool gift that can be used time and time again! We would like to wish the birthday boy/girl a lot of fun with this brainteaser!